Kuala Lumpur is the largest city in and the capital of Malaysia with about 7 million inhabitants and a huge variety of tourist activities and attractions. Also, Kuala Lumpur is an excellent starting point to explore the rest of the country or all of Southeast Asia. The city is well connected by air to the rest of Asia and Europe. 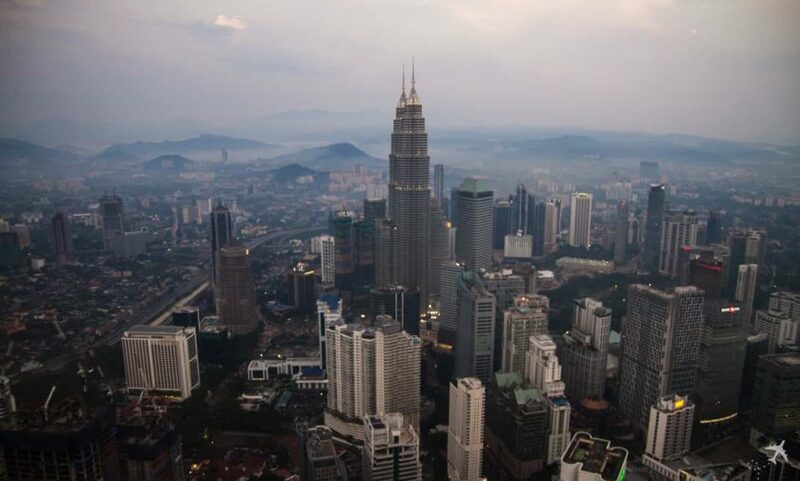 Flights from Europe to Kuala Lumpur are often pretty cheap. Deals between 300€ and 400€ can be found all year long, and also cheap Business Class fares are available from time to time. Thanks to numerous low-cost carriers you can get to many other destinations in Asia starting from Kuala Lumpur. The best time to visit Kuala Lumpur is between May and July. Comparatively little rainfall and moderate temperatures and humidity provide good conditions to tourists and are a welcome change from the otherwise somewhat humid temperatures in Southeast Asia. You can reach the city center for about 12€ (Oneway) in 28 minutes with the KLIA Ekspres express train. A taxi will cost you between 16€ and 22€ – so if you’re traveling with two or more persons this alternative is worth it! Bus transfers are available from 2,50€ per route, but they are time-consuming and comparatively complicated to overlook.